The more you glance around, the more you notice the eponymous symbol for modern execution on display from every angle. All the crosses in your church have been replaced by electric chairs. We are used to seeing the Cross Christ hung on as a symbol of hope, salvation, forgiveness, and peace. We take comfort in what the Cross has come to represent. In fact, I rarely associate the image of The Cross with the brutality of what took place on it, or leading up to the time Jesus spent on it. But maybe we all should. If Jesus would have been crucified in our day instead of 2,000-ish years ago, it’s not far-fetched to think the electric chair would become the logo of our faith. “The Chair” has been synonymous with execution for many years now, just as The Cross was when Jesus allowed Himself to be nailed to it. In modern times, it would be as if Jesus was humiliatingly dragged and tortured down Main Street, only to be placed in “The Chair” for the world to see at the end of His journey. 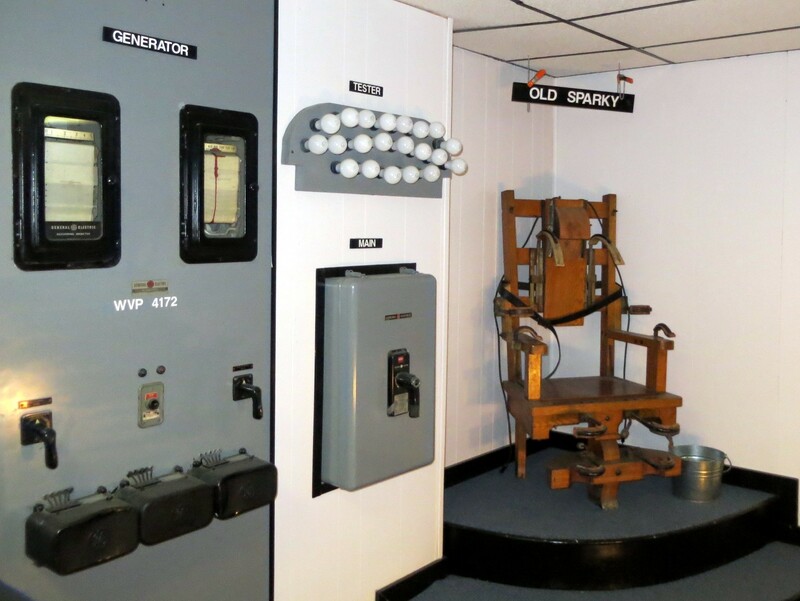 Think about how radical it would be to make an electric chair the definitive image of our faith. The Cross is no less radical. And while we should find comfort in what it represents, we should never forget how beautifully astonishing it is that it has come to represent the One we exalt above all others. May we never take Who it represents lightly. Amen.